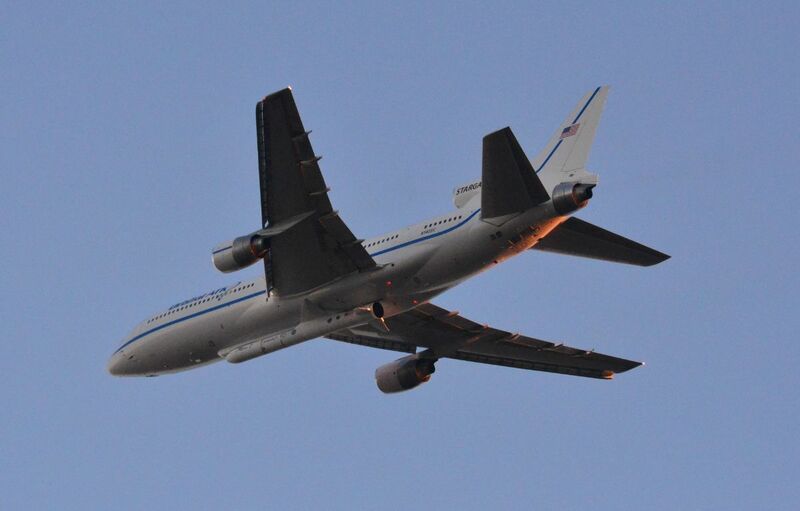 An air-launched Pegasus XL rocket operated by Orbital-ATK will launch NASA’s Ionospheric Connection Explorer (ICON) to begin a study of Earth’s ionosphere, a vitally important region when attempting to understand the dynamics between Earth’s atmosphere and solar weather. ICON sets out to reveal the mechanisms of ionospheric disturbances caused by solar storms or terrestrial weather activity in the upper atmosphere which can have implications on the operation of satellites and the propagation of radio waves. The L-1011 aircraft carrying the Pegasus XL rocket will take off from the Kawajalein Atoll and send the vehicle onto an ascent over the Pacific Ocean to deploy the 291-Kilogram spacecraft is be deployed into a circular orbit 575 Kilometers in altitude, inclined 27°. Staging operations (spacecraft processing, launch vehicle assembly) will take place at Vandenberg Air Force Base in California. NASA is postponing launch of the Ionospheric Connection Explorer (ICON) until 2018. The mission was previously planned to launch Dec. 8, 2017, on an Orbital ATK Pegasus XL rocket from the Reagan Test Site on Kwajalein Atoll in the Marshall Islands. NASA and Orbital ATK need additional time to assess a separation component of the rocket. More information on a revised launch date will be provided once it becomes available.